You'll be £4.99 closer to your next £10.00 credit when you purchase The German at Arras. What's this? During the Great War a German publisher produced a number of photographic books that are of considerable interest to the modern-day reader. 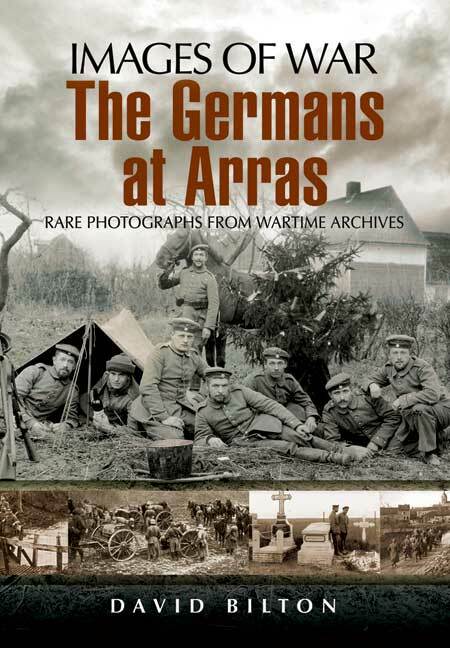 These were based on the photographs taken by the German regiments that found themselves stationed there during the War.This, the first book, covers the Battle of Arras in 1917, one of the largest in the War. In addition to the introduction giving the historical context there are 350 photographs of the villages/towns,the trenches, troop movements, trenches, cemeteries, dealings with civilians. These vividly convey what the area from Lens-Arras-Bullecourt-Havrincourt-Cambrai-Douai was like under German occupation. This book is not just a memory-rich diary for the thousands of soldiers who fought there but also a valuable record of the period.